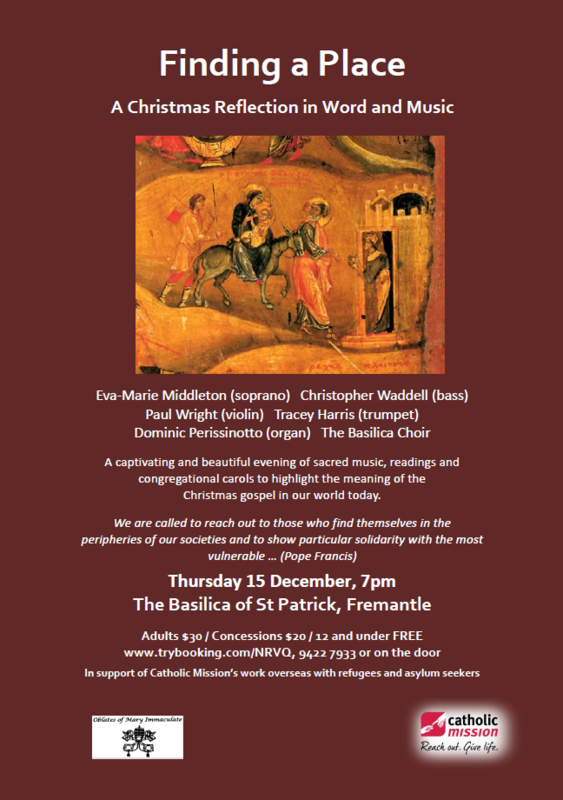 This evening of sacred music, readings and congregational carols will be held at the Basilica of St Patrick in Fremantle on Thursday 15th December at 7pm. Proceeds from the evening will support Catholic Mission’s work overseas with refugees and asylum seekers. For full details of the event, including ticket pricing and how to register for the event, please see the flyer below of check out the Facebook event here.